The Yamaha DGX-660 Digital Piano is a compact piano with great sound and a host of advanced, intelligent features that make it capable of so much more. It combines the great Yamaha Pure CF Sound Engine and GHS weighted keys that mimic an acoustic piano, with app connectivity and a wide range of digital customization options. It's the most advanced portable piano in the Yamaha family. What's Included with the Yamaha DGX-660 Digital Piano? Yamaha refers to the DGX-660 as a “Portable Grand Piano.” While traditional grand piano players will beg to differ, it still produces incredible sound in a compact footprint that can go almost anywhere, with an authentic, acoustic piano feel and experience. Even better, the range of features, enhancements, and connectivity options take this little piano well beyond the capabilities of a grand piano, to foster the learning, growth, and expression of almost any musician. Let's take a closer look at everything in this exciting package. 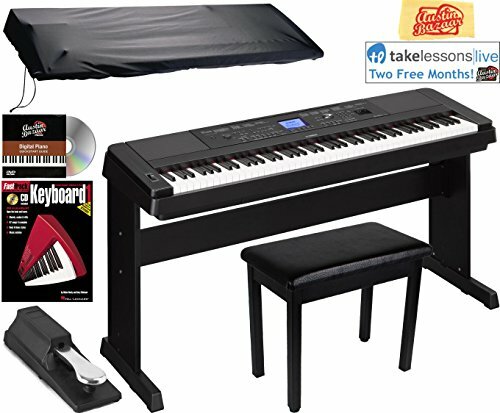 While the Yamaha DGX-660 Digital Piano has onboard education and learning tools, and this Amazon bundle also includes piano lessons and education, it isn't an entry-level piano. It has features, options, and settings that a beginner may find complex, and doesn't have the popular Duo keyboard function that facilitates side-by-side piano instruction. It also isn't the perfect piano for those who want an authentic grand piano experience. Those who are accustomed to playing big acoustic pianos may find some fault with key weight, pedal effects, and some of the other audio characteristics of the DGX-660. It's also not a great choice for traveling gig musicians. While Yamaha classifies it as “portable,” the keyboard weighs 46 pounds alone, and, with the included stand, has a combined weight of 61 pounds. While it is technically portable, it's larger, heavier, and more substantial than most people would want to frequently move from place to place. It is, however, an excellent choice for great sound and a great piano experience in a compact package. It's perfect for aspiring musicians and composers who want to write, hear, and share music from their home or studio, with USB connections that make it easy to use your computer for editing and processing songs. The microphone jack allows you to sing along or share your music with others, and the built-in speakers have good volume, which also makes it a smart choice for a classroom, hall, or small performance space. The Yamaha DGX-660 Digital Piano is the perfect piano for those who aspire to a big, prestigious acoustic or digital piano with loads of features, but are limited by their budget or available space. It's the very best piano, with the most authentic grand piano sound, that you can get in this size at this price. 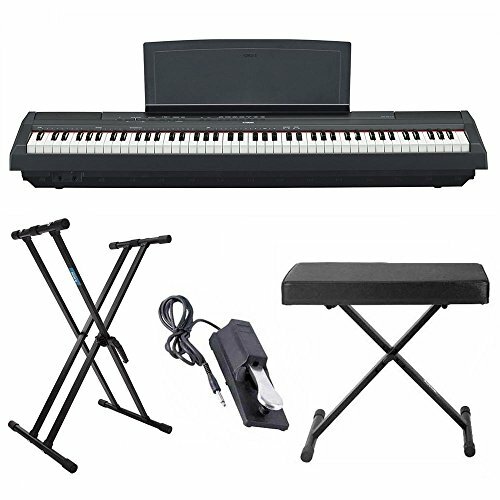 The Yamaha DGX-660 Digital Piano Bundle comes with a stand, a furniture-style piano bench, a music rest, a sustain pedal, an instructional book and DVD, a dust cover and polishing cloth, and two months of live online lessons. 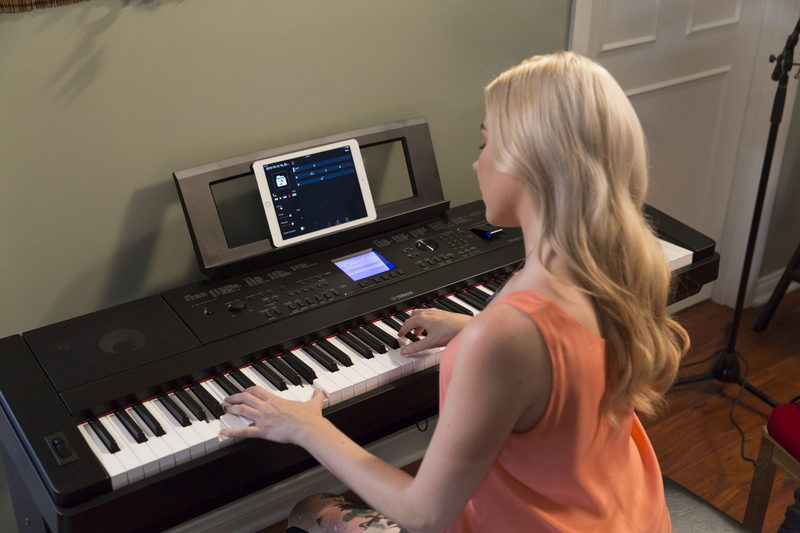 The Yamaha DGX-660 Digital Piano is loaded with features and capabilities that will excite any musician. It has a full size, fully weighted keyboard with GHS weight system. 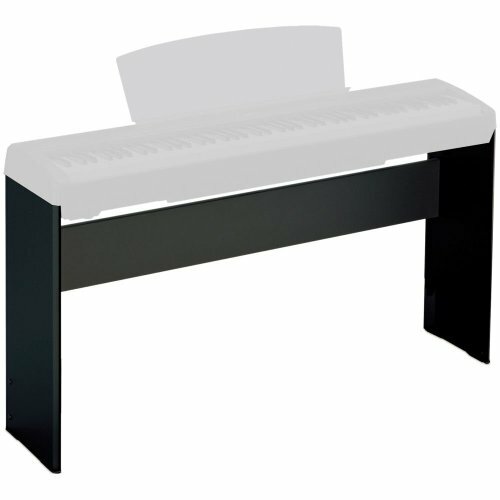 It comes with a stand, bench, and sustain pedal, so you can set it up and get playing right away. 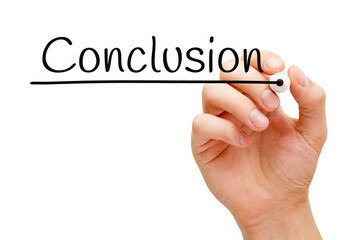 The LCD screen is large and the display can be adjusted according to your preferences. It has 192 levels of polyphony, for a wide range of complex and overlapping sounds. It comes with 151 instrument voices, 15 rhythms, and 388 XGlite voices. The “Piano Room” function allows you to select your preferred virtual practice or performance environment. You can set the instrument voice, acoustic space, and even adjust the position of the lid of your virtual piano. Compatible with a wide range of music apps via USB. The DGX-660 can also connect wirelessly to dedicated iOS apps including Yamaha MusicSoft and Chord Tracker. The touch sensitivity of the keys and pedal and half-pedal functions mimic the feel and expressions of playing an acoustic piano. It uses Yamaha's Pure CF Sound Engine, with high-quality samples captured from Yamaha's best concert grand pianos. It comes with 151 instrument voices, 15 rhythms, and 388 XGlite voices. The 29 featured voices include Live! Cool!, and Sweet! voices, which blend long, multi-layered samples for unique resonance, vibrato, and expression. It has a wide range of EQ, reverb, and other audio settings, as well as pitch bend, transpose, and tune functions. Smart Chord can build entire chords from a single note, with styles ranging from pop triads to jazz 7th and 9th chords, or play a few notes in the desired tempo, and Style Recommender will offer a list of complementary styles to choose from. Accompaniment styles can fill in the rest, so you can play along with an entire virtual band in just minutes. 41 reverb settings, 44 chorus settings, 237 DSP types, and 5 Master EQ types for custom control of your sound quality, and the “piano room” setting creates an entire virtual environment. It's difficult to compare the Yamaha DGX-660 Digital Piano to a similar product, because the “portable grand” occupies such a specialized niche, and other brands don't make exactly comparable keyboards. 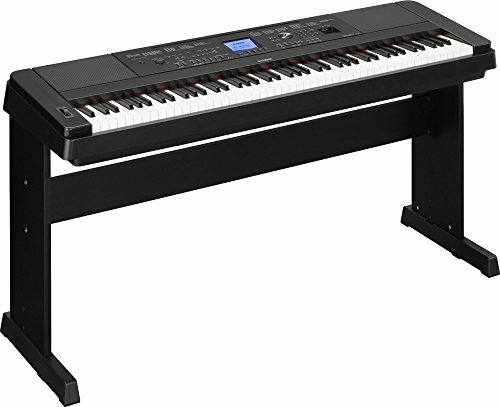 The next step up in quality and playing experience would cost more money to enter the Yamaha Arius line, but those are console pianos and not portable at all. Or keep the portability and save some money, but lose audio quality and digital features with the Yamaha P125. All three of these pianos have the same graded hammer standard keyboard weight and Pure CF Sound Engine. The DGX-660 has a bigger library of voices, choruses, accompaniments, reverb, etc., than any of them, but they all have some of those features. So the primary differentiator is the amount of space they require, the amount of money they cost, and the fact that the DGX-660 is better equipped to interact with digital devices. There is no bad choice among these keyboards; it's just a question of your priorities. To make the most of your Yamaha DGX-660 Digital Piano, it's best to invest in a few additional accessories that will make all the difference in your experience as a musician. The Yamaha LP7A 3-pedal Unit for DGX-660 is specifically designed for the DGX-660. It has damper, soft, and sostenuto pedals, with half damper effect for greater expression and control over the music. It attaches easily to the DGX-660 stand, and gives you a greater range of musical capabilities, and a grand piano-like playing experience. 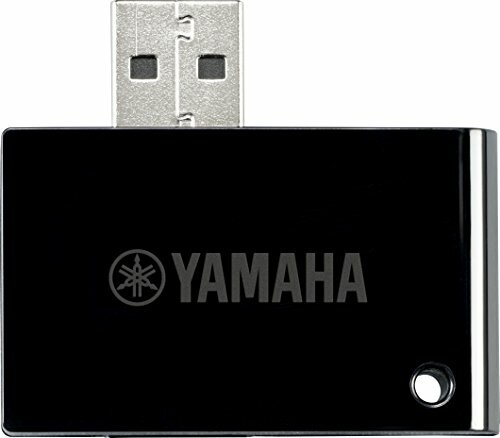 Of course, you could use the Yamaha DGX-660's onboard USB ports, but it's much easier to use Bluetooth and skip the cables and connections. The Yamaha UD-BT01 is designed to connect the DGX-660 to all your digital devices and iOS apps wirelessly. The Yamaha DGX-660 Digital Piano has a microphone jack, and it would be a shame to not take advantage of singing along with your music, or inviting friends to join in. 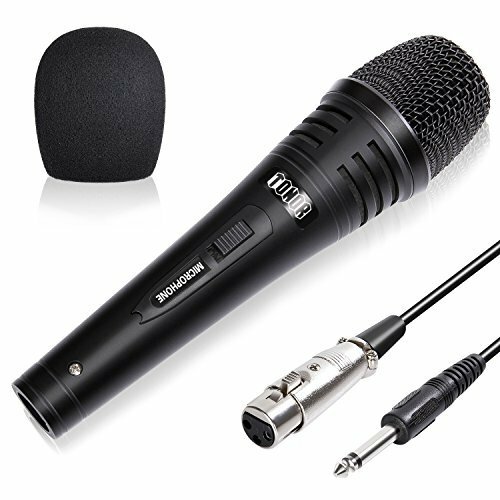 While microphones can be extremely specialized and very expensive, a good entry level vocal mic is the TONOR Pro Vocal Dynamic Microphone. It has good sound quality and dynamic range, is versatile and durable, and comes with a wind screen to eliminate pops and unwanted sounds. The included ¼ inch cable will plug directly into the DGX-660 and project singing from the keyboard's speakers. Of course, you can't hold a microphone and play piano at the same time. A nice option for the DGX-660 that won't take up any additional space is the Samson MB1 Mini Boom Stand. 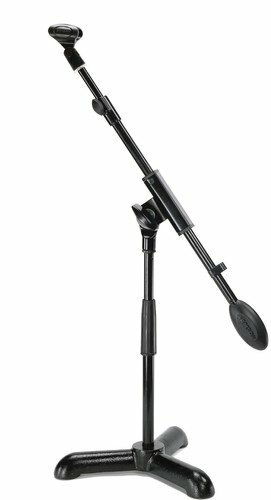 Samson is well-known for their microphone stands, and this one has an excellent weight and counterweight to prevent tipping, while being small enough to fit comfortably on a desktop. 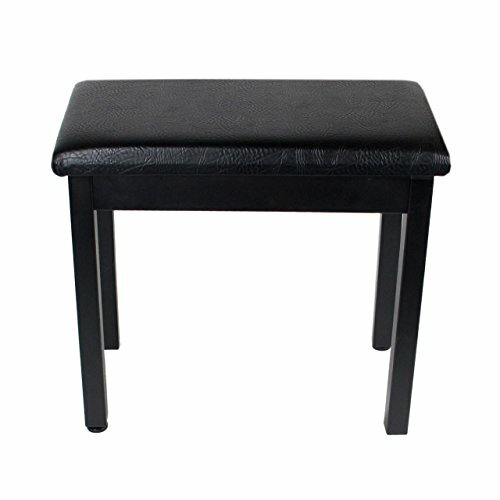 At full extension, it can even be placed on the floor and act as a traditional boom mic while you sit at the piano. It's a good, compact, boom mic stand that will work well with any digital piano. The Yamaha DGX 660 Digital Piano has the best sound quality and digital capabilities of any similar size piano in its price range. For those who want to replicate the feel and sound of playing a grand piano, but are short on space, it's an incredible alternative. And its digital features and connectivity options open up an even wider range of musical possibilities, making it an instrument you could love for decades to come.